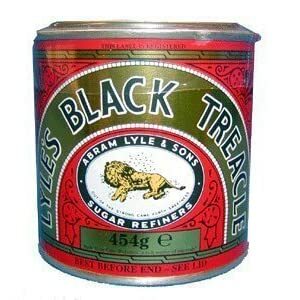 Today was like wading through treacle. Even as I yelled at the littlest lights of my life to Get. Those. Shoes. On. NOW, I knew the day could only get better. It did, but it was touch and go for a while. Nothing dramatic, just a combination of lack of quality sleep (I woke up painfully furled in and out and around the eldest 2 girls and The Boss; they had the covers and the pillow and I didn’t), still ill (3 days of dodgy tum), brain still on holiday (God, it’s such an effort to think in a straight line! ), and the rest of the zoo feeling equally tired and grumpy. Worse, the smell is driving me bonkers: Midi Minx peed on the sofa, the cat ‘forgot’ to poo outside (or has been chased off her normal toilet territory) and let rip all over her cat kibble, and Mini Minx’s nappies are full of 3 days of jarred baby slop: she demolished baby tuna bake like a baby possessed but its transformation from faintly pongy baby-food to evil stench from Hell in her guts was apparently accompanied by incredible volumes of gas. Oh yeah, and I can’t find the nappy sacks, so a single night of hand-folded nappies with most of the contents flushed down the toilet has left the most dreadful smell in the entire house. Even cooking up some of my frozen bolognaise didn’t shift the stubborn odour. (I say ‘bolognaise’, but it’s really a meat and veg mush held together with dried oregano). Anyway, so there we are: smell, mess, dirt, dust, clutter. Oh yeah, and in case I wasn’t busy enough post-holiday, some bright spark thought “Wouldn’t it be a great idea to put 17 things on eBay while we’re away on holiday just in case they sell?” They didn’t just sell, we were inundated with questions every day. Both me and The Boss innocently thought that putting big baby items (car seats, moses basket, pram, etc.) on with ‘collection only’ would deter everyone, because we live in the middle of nowhere. We reckoned someone local might buy each thing for a penny a piece and come along and take the lot off our hands, which was the whole point – pretty much just give it away to someone who wants it, rather than ditch it at the dump. I didn’t expect people from France, Hungary and Germany to ask if we’d reconsider and send the items to them. Bit hard to calculate postage when you’re on a timed, dodgy internet connection, your family are whining at your feet for another ice cream (and that was just The Boss…) and you’ve no idea of the weight of the things. Still, I’m delighted that everything sold. Not much, but enough for me to buy a bottle of wine and sniffle hormonally about my babies growing out of their moses basket, first car seat, tiny carry cot and pram. I know they’re just things, but I have such happy memories attached to them of each of my girls in their tiny infancies. So, today was spent wrapping and shuttling to the post office, cursing about The Boss miscalculating the postage costs, and trying to be helpful about chaining myself to the house for a week so courier companies and local customers can come and pick-up. I think I’ll leave The Boss to deal with the latter. After all, he was the instigator of the clear-out: I was happy storing it for The Future Grandchildren like the bonkers Grannie I intend to become. Besides, if I met the new owners, I’d only spend all day wistfully talking about newborns. What else? Oh yeah – I discovered at 1545hrs today that this was the last day to register Maxi Minx for her first year at primary school and Midi for pre-school. Ulp. I lurched from the Post Office to the school, got some paperwork to fill in so long as I promised to return first thing Monday morning. Even I, Brave Old Trout of Grump, felt very intimidated by the woman in reception. I therefore approve of the school as a potential tamer of Midi Minx. PS We had a brilliant holiday, no-one wanted to come home. We only got back at barmy o’clock yesterday, so I’ll tell you about it later. Promise. This entry was posted in angry, clothes, Mummy Guilt and tagged baby food, cat, children, clutter, dirt, eBay, messy, primary school enrol by GrumpyOldTrout. Bookmark the permalink.